Richard Anderson was one of the TV’s most recognizable stars in the 1950s and 1960s appearing in some of the most loved shows of their time. His career continued well into the 1980s, and he was loved by a new generation of fans. Anderson is still associated with the golden era of films and television. His long and fruitful career saw him play strong authority figures who gave strength to others. Richard Anderson sent his agents on secret missions and telling them what to do. He made a career out of playing strong authority figures in both film and television and was in more than 180 films in the process. Anderson passed away on Thursday, August 31, 2017 at his home in Beverly Hills, California. He was 91 years old and was once famously described as “always a chief, never an Indian.” Jonathan Taylor, Anderson’s family spokesman, confirmed the news of his death. Richard Anderson’s cause of death is not yet known, but will hopefully be revealed as more detailed reports come in. He acted in several films and TV shows that were iconic and indicative of their times like The Six Million Dollar Man and The Bionic Woman. 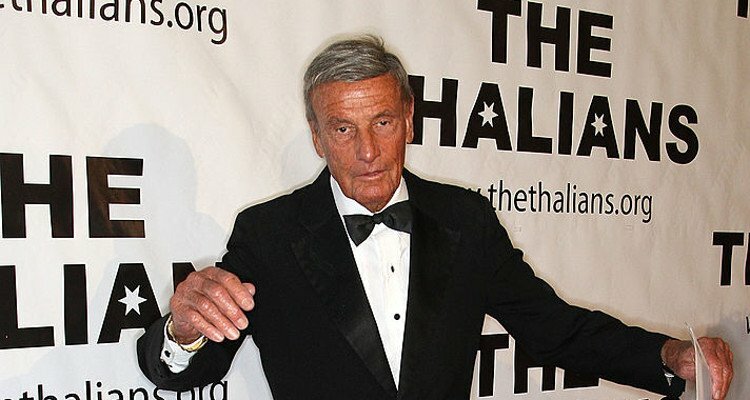 His passing away put the spotlight on his long and steady career, so we have some details from Richard Anderson’s wiki. Born on August 8, 1926 in Long Branch, New Jersey, Richard Anderson was a film and television actor. His parents were Olga Lurie and Harry Anderson who lovingly raised him and gave him the freedom to pursue whatever he wanted. Anderson joined the army and later gravitated towards acting. He initially struggled, but in the early 1950s, his luck changed. He started getting parts in bigger movies, and directors turned to him when they wanted an actor to play imposing authority figures. Some Richard Anderson movies that made a splash include The Student Prince, Forbidden Planet, Paths of Glory, The Long Hot Summer, and Seven Days in May. It was on television that Anderson’s career really flowered when he appeared in episodes of Perry Mason. Later, he appeared in several iconic TV shows like The Untouchables, Stagecoach West, Thriller, The Man from U.N.C.L.E., The Fugitive, The Green Hornet, The Eleventh Hour, and The Invaders. It was his role as Oscar Goldman in The Six Billion Dollar Man and The Bionic Woman that Anderson is most remembered for. Both shows developed a cult following, and Anderson shone brightly as the no-nonsense government agent who regularly sent his best agents on dangerous missions. Anderson was busy until the 1980s, appearing in shows like Charlie’s Angels, Knight Rider, Remington Steele, Cover Up, The A-Team, The Fall Guy, and Murder, She Wrote. He also played a recurring character on the soap opera Dynasty from 1986 to 1987. Richard Anderson’s net worth is not known, but considering his long and profitable career, it must have been substantial. He married twice and both of them ended in divorces. Richard Anderson’s first wife was Carol Lee Ladd, an actress, from 1955 to 1956. He later married Katherine Thalberg with whom he was married from 1961 to 1973. Thalberg and Richard Anderson’s children are Deva, Brooke, and Ashley. Anderson was a humble man and an effective actor. He accepted that he was typically identified with supporting roles saying, “It seems I’ve spent a lifetime telling other characters what the setup is and then sending them out on missions.” Very few people know that he loved westerns, which was one of the biggest reasons he came to Hollywood. Now that he is gone, Hollywood and his fans will remember Anderson as a team player who proved that no role is too small, as long as it is played well. He died like he lived and was portrayed on screen: With a minimum amount of fuss.